To get the right plastering services and that too within your budget range you should search for a reputed and renowned plastering company in Essex. 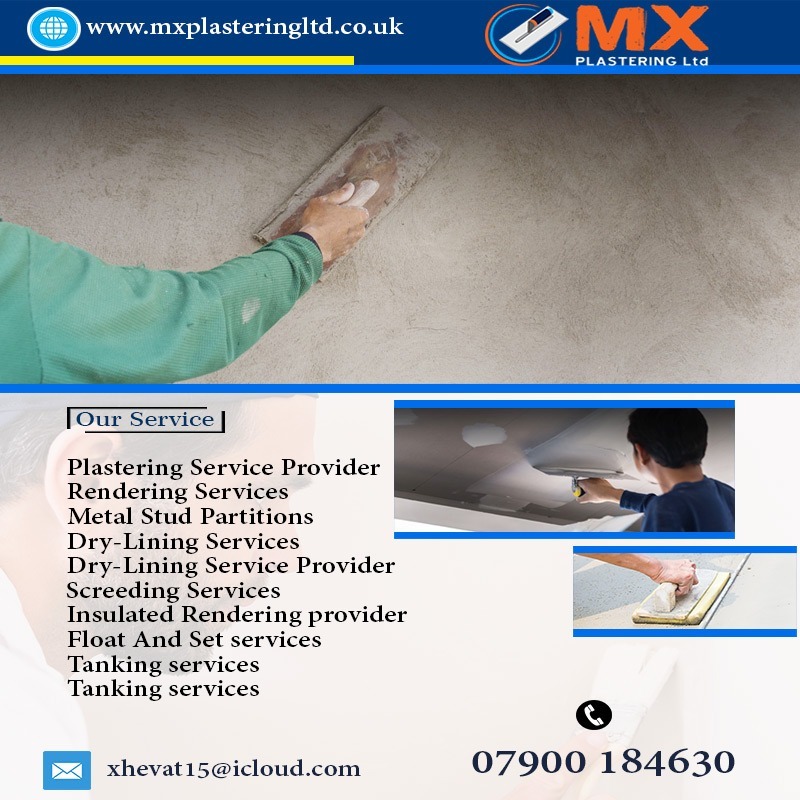 The teams at MX PLASTERING Ltd are well qualified and have the skill to provide a top class of rendering services in London. They have the right tools to handle the project of any size. You can also contact and hire them if you need tanking services, home decoration and painting services, float and set services, skimming services, ceiling installation and repair services, etc.